Location: Unknown, near Cape Hatteras, N.C. Hull Number: 226114 Port of Registry: New York, N.Y.
Data Collected on Site: NOAA has collected historical data on the Venore, but has not yet located the shipwreck site. While a shipwreck site is charted in the recorded vicinity of the sinking, Venore has never been definitively located. On the morning of January 23, Venore, just 80 miles off Hatteras, North Carolina, proceeded on a course electing to stay farther from the shore. 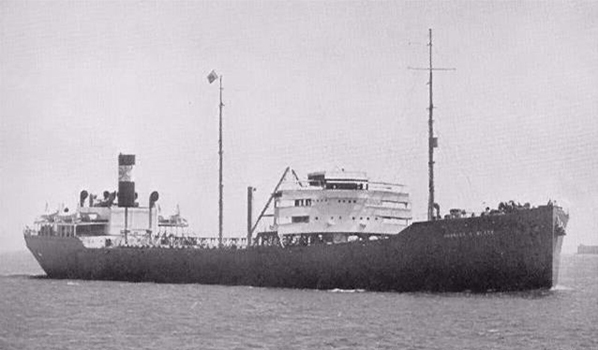 At about noon, a vessel was sighted dead astern, and as that ship overtook Venore, the crew recognized it as the British tanker, Empire Gem. As night fell, Venore approached Diamond Shoals, and the captain ordered the ship darkened except for the dim sidelights. Operating successfully in the Hatteras area, U-66 was looking for its last victim before returning to France. That night, U-66 had its pick of two vessels, Empire Gem and Venore. As U-66 lined up to fire at the larger vessel, Venore, Empire Gem suddenly changed course running right in front of U-66's torpedoes. Venore's crew heard the explosion and saw a column of smoke that climbed about 500 feet into the night sky. Venore quickly navigated away from the burning vessel towards the shore, but as Venore made its way towards the shoals, U-66 followed. U-66 fired two torpedoes at Venore. One missed, but the other struck amidships forward of the boiler room, setting the stern on fire. Venore's captain maneuvered away from the attack at full speed. Panic began to spread throughout the ship, and as Venore raced for shore, some of the crewmen lowered lifeboats, which hit the water and instantly tore apart both the boat and its occupants. A third boat somehow launched successfully, but with only two men. About an hour after the first torpedo hit, a second one hit on the port side instantly causing the ship to list sharply and the main deck to completely submerge. The remaining crew abandoned ship in the last lifeboat as the ship finally capsized to the starboard and sank. Of the crew, 24 of the 41-member crew survived, two in one lifeboat, 21 in another and one survivor clung to debris. 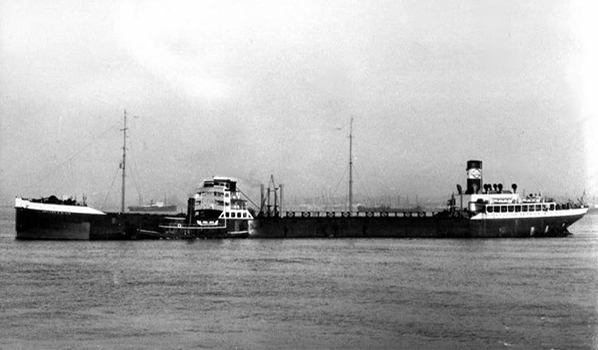 Twenty-three of the survivors were located about 62 miles north of Diamond Shoals on January 25 by the steamship, Tennessee. The survivor clinging to debris was resuced by the vessel Australia.